Another Detroit-area school district is being forced to turn off the taps. Three buildings in the Huron Valley School District -- Lakeland High School, Lakewood Elementary, and White Lake Middle School -- will be serving bottled water to their students for the foreseeable future. This time, however, the culprit isn't lead. Instead, it's a common form of bacteria that can make people very sick. Another Detroit-area school district is being forced to turn off the taps. 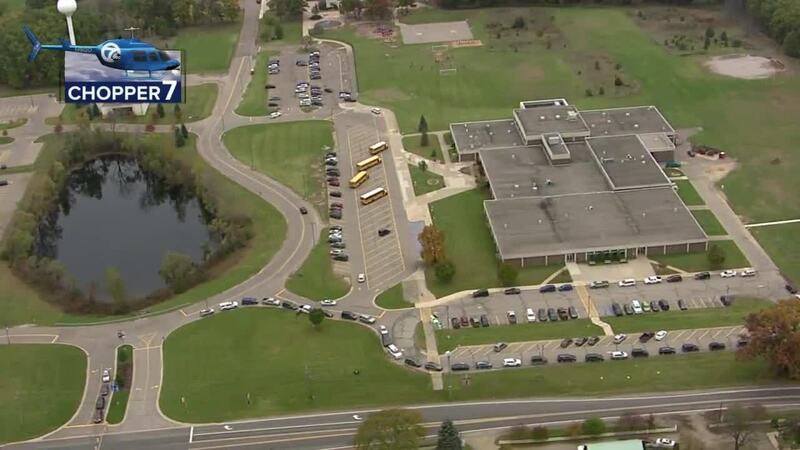 Three buildings in the Huron Valley School District -- Lakeland High School, Lakewood Elementary, and White Lake Middle School -- will be serving bottled water to their students for the foreseeable future. This time, however, the culprit isn't lead. Instead, it's a common form of bacteria that can make people very sick. What is this bacteria called, and how did it get into the water supply? It's called coliform bacteria, and it's very common in wells. The affected schools within the Huron Valley School District drink well water that is testing positive for this stuff. Coliforms are bacteria that are always found in the digestive tracts of animals, including humans, and are present in their wastes. They can also be found in plant or soil material. And some of them can be very harmful if ingested. How dangerous is this stuff? Most coliform bacteria do not produce disease, and officials in the Huron Valley School District wisely did this out of an abundance of caution. That's because one type of very serious coliform is E. coli. Although it's not usually found in drinking water -- most people get it from eating meat -- it can be present in wells. And it can make you very sick. How are the schools in the Huron Valley District going to handle this? Well out of those three schools I mentioned, roughly 2000 people will be affected. Officials are setting up water stations where kids can get pre-packaged bottled water or else fill up their own bottles. The next step for officials is to re-chlorinate the well water. They also say they will try to get a bond next year to hook up with the White Lake municipal water system.